Sweating is a natural reflex response of the human body to an elevated air temperature. This is due to irritation of the skin receptors, which perceive heat. Sweating allows you to regulate body temperature, cooling the body and saving it from overheating. The most intense sweating is observed in the summer. At low temperatures, it decreases noticeably. Sweating is necessary for a person for the normal functioning of all life systems. Through the skin, substances that are unnecessary to the body are allocated. In many cases the excessive sweating is just a feature of the body. As a rule, palms, armpits, feet are exposed to it. Local hyperhidrosis, as a rule, does not carry a direct threat to health, except inconveniences in everyday life. In addition, an excessive sweating contributes to the development of skin diseases, especially fungal lesions of feet and dermatitis. Follow the tips below and you will see how quickly and effectively you will forget about this unpleasant problem. How to prepare for the manipulation? Increased sweating is observed during physical activity. But if it arises in the ordinary state, then this can already indicate a problem in the operation of the internal glands. Most sweat usually evaporates from the surface of the skin of the face, palms, plantar, inguinal and axillary surfaces. Before you begin to deal with the problem of sweating, be sure to consult a doctor. Important: If you have one of the mentioned health problems, it is important to treat the underlying disease as without the qualified medical care you won’t be able to get rid of the problem with sweating. Usual deodorants, as doctors say, can only remove the smell of the sweat for a while. Very sweaty people need special antiperspirants. Such remedies do not mask the smell but narrow the ducts of the sweat glands. Also, these antiperspirants usually contain components that can reduce the sensitivity of the nerve end of the sweat glands, thereby reducing sweat volume. These special antiperspirants are colorless and have a gel base. It is necessary to use them before going to bed. Antiperspirants from the increased sweating is the simplest and best known method for fighting this problem. Modern antiperspirants perfectly cope with the initial stage of hyperhidrosis, when sweating is already interfering with normal life – spots appear on clothing, an unpleasant smell. There are cases when, with regular and prolonged use, excessive sweating ceases, because sweating normalizes. How the skin reacts to alcohol. 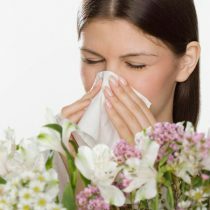 Sensitivity of the skin, the presence of allergic reactions. Method of application (spray, applicator or roller). Scope of application (for armpits, for hands, for feet). There are some situations where the use of antiperspirant can harm the health. Pregnant women with great caution should be treated with a choice of cosmetics, including antiperspirants. Be sure to consult a doctor before using them. Active sports training. 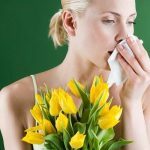 Yes, unfortunately, in such conditions, antiperspirants can cause severe swelling, since a large amount of sweat is produced, but does not go to the surface of the skin. Abundant sweating in hot weather. The reason is the same: accumulating sweat can cause swelling. In these situations, it is still safer to use deodorants. Important: It is not recommended to use an antiperspirant for too long. The main side effect with prolonged use of antiperspirants is allergic dermatitis – an inflammatory skin disease. It is treated by canceling antiperspirants from hyperhidrosis, antiallergic drugs and ointments are prescribed. The treatment is done by a dermatologist. Method of acupuncture came to us from the ancient East, where it has been successfully practiced for centuries to improve people’s health. It helps to restore the balance of the regulatory system, including normalizing the human nervous system and restoring the work of internal organs. To treat a problem of the increased sweating it is possible by means of influence on the certain points of a human body. These are the reflex zones of the human body and acupuncture points. In some cases, it is enough to massage the feet or hands. Only specialists can determine this. Treatment with needles usually passes painlessly, only sometimes you can feel unpleasant sensations when installing needles. 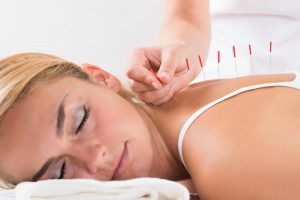 Therefore, before the beginning of acupuncture it is necessary to learn more about the intended sensations when the needle is inserted into the point. Usually there is a feeling of pressure, heat or numbness, there can be a short-term pain, as from an electric shock. Often there is a reddening of the skin around the inserted needle. All these reactions are physiological, rapidly passing and cannot be the reason for refusing treatment. In those cases when the treatment requires the connection of electric current to the needles, there are sensations of slight itching or numbness. At present, only needles are used for acupuncture, so the risk of infection is minimal. After the session a state of strong relaxation usually comes , in this state, it is best to lie down and rest for several hours. Using reflexotherapy for the treatment of the general hyperhidrosis you can achieve a good effect, using the acupuncture method involving the following points: P7; GI4; E40; R7; V60; GI11; R1; RP9. When treating the hyperhidrosis of the armpits, the points should be used on the meridians corresponding to this region: C3, lG11; C1; V46; VB22, VB21 and others. With hyperhidrosis of the feet the following points F3, F2; E41; R1, R2, R7; VB40; R17; RP9 should be used. With palm hyperhidrosis, use points TR4; MC8; GI4; P10; MS7, MS6; C5; TR3, TR6. With hyperhidrosis in the perineal region, the points of T4, J2, T2; RP9, F11 are used. Important: Often there is a reddening of the skin around the inserted needle. All these reactions are physiological, rapidly passing and cannot be the reason for refusing treatment. To solve the problem of excessive sweating or even to alleviate it, you can dramatically change your lifestyle. First, it is important to avoid stress. Don’t participate in situations that trigger the release of the stress hormone – cortisol. Reduce to a minimum the use of alcohol and coffee. But the amount of simple still water, on the contrary, should be increased. Do not eat spicy food. Remember that the fragrant spices make the human body even more sweat. Take baths with the use of infusions of chamomile and oak bark, which prevent inflammation and somewhat reduce the intensity of sweat glands. Choose linen and clothes from natural breathable materials. Avoid the synthetics that make up the “greenhouse effect”. Change your underwear as often as possible. Wear the summer open shoes, and in the cold season use antibacterial insoles. Important: Learn to manage your emotions: engage in self-training, relaxation, deal with the stressful situations under the guidance of a psychologist and a psychotherapist if you it is necessary. If the problem of excessive sweating worries you much, it is possible to get rid of it forever with the surgical treatment, but it is associated with certain risks, so it is usually used only in particularly pronounced cases. Local surgical methods affect directly the problem area itself. They are low-traumatic and do not cause complications. All these techniques reduce the number of sweat glands, and hence lead to a persistent decrease in sweating. Curettage of the axillary zone implies the destruction of nerve endings and sweat glands. Manipulation is performed under local anesthesia, “scraping” is carried out through 1-2 small punctures. The disadvantage of curettage is the possible restoration of the functioning of the sweat glands in a few years. Liposuction is carried out to people with obesity. Removal of adipose tissue is accompanied by damage to the nerves of the sympathetic part of the nervous system – this is the cause of the therapeutic effect. Subcutaneous adipose tissue is removed by aspiration via a small tube, so trauma is minimal, but hemorrhages, decreased tactile sensitivity and accumulation of exudate are not excluded. Excision of the skin is used for hyperhidrosis with predominant localization in the axillary region. The disadvantage of the method is the presence of a postoperative scar, which in some cases may limit movement. Sympathectomy is the method of central treatment of hyperhidrosis. This operation is resorted to in the case when neither conservative treatment nor local surgical techniques have produced a noticeable effect, and the severity of hyperhidrosis significantly worsens the patient’s quality of life. Sympathectomy is also a low-traumatic method, but complications such as dry skin, narrowing of the pupils, ovulation of the eyelid, and compensatory sweating are possible. The peculiarity of the last complication is its unpredictability and resistance to all known methods of treatment. Sympathectomy is performed under general anesthesia and consists in crossing the sympathetic nerve trunk. To do this, it is exposed to a high-frequency current or a special clip is applied. Usually, the operation is performed by the endoscopic method, which makes it possible to do without a large incision and shorten the healing period as much as possible. 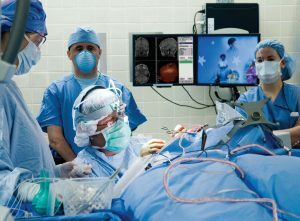 Important: It should be noted that this complication occurs with a frequency of no more than 2% of the total number of operations, and almost 95% of operated patients do not experience any serious problems after sympathectomy and are satisfied with the result. and contribute to the normalization of the sympathetic work of the autonomic nervous system. Herbal remedies like motherwort, valerian, sedative packs can be taken without the prescription but synthetic medicines must be prescribed by a doctor. To reduce sweating, belladonna containing atropine can be used. 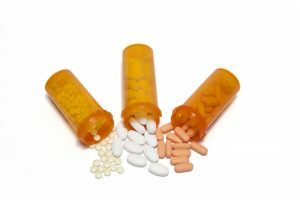 Atropine also reduces the excitability of the sympathetic nervous system, but one should remember the danger of this substance – in excessive doses it is poisonous and can lead to the most severe complications. Important: From excessive sweating you can use of a solution of formalin in a concentration of 3% with a frequency of 1 time in 3-7 days. Wipe the problem areas with Resorcinol in the form of 2% alcohol solution daily. Get rid of this disease with the introduction of botulinum toxin. This procedure ensures the cessation of excessive sweating for a period of about 6 months, after which the procedure must be repeated again. 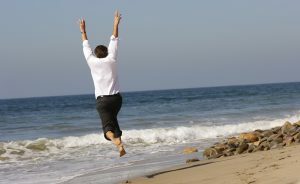 Although this method of eliminating hyperhidrosis does not have a permanent effect, it surpasses many other means in its effectiveness, providing a solution to this problem for a sufficiently long period of time. When botox is administered under the skin in the area of the increased sweating (feet and palms) a substance acetylcholine is blocked, which transmits a nerve impulse to the executive cells. Thus, protection from the manifestation of the consequences of hyperdrug is provided. Most patients report a significant decrease in sweating in the areas where Botox was administered. Minor changes are observed only in rare cases. during the intake of antibiotics and anticoagulants. Before the procedure, you should consult a dermatologist. To avoid complications and unforeseen results, it is necessary to examine the skin areas, fill out the individual client card and find out the indications and contraindications. When examining a patient, it is important to determine whether there is a major illness, since it can be the primary cause of excessive sweating. When examining a patient, account for the size of the sweat tracks on the clothes, since in this way it is possible to determine the degree of hyperhidrosis in the region of the armpit. A normal indicator is a spot up to 5 cm, which can be observed with little physical exertion. A spot 10 cm in diameter is observed with a mild degree of sweating. At a moderate degree, it reaches 20 cm in diameter. With a severe degree, more than 20 cm of the skin surface. The day before the visit to the cosmetologist do not engage in those types of work or sports that involve heavy physical stress. A few days before treatment do not drink alcohol. Be sure to consult a dermatologist and make a Minor test. The drug is administered intradermally with the help of injections. For many people, injections of Botox into the armpits are practically painless manipulation. To completely eliminate the occurrence of painful impulses, cosmetologists lubricate the treated area with an anesthetic cream or apply an ice pack. To determine the degree of hyperhidrosis and the dosage of the drug, try the Minor test. The next stage is disinfection with a solution of medical alcohol. Remember that alcohol must completely evaporate from the surface of the skin, as it promotes the decomposition of Botox. Further on the skin with the help of a green or special marker mark the site of future injections – every 2 cm. Botox injections into the underarm area are performed using a thin needle to a depth of no more than 3 mm. If the cosmetologist works without errors, a papula appears at the injection site and a feeling of slight burning occurs. The session of getting rid of excessive sweating lasts a little less than an hour. Important: In 99% of cases patients are satisfied with their result.